The Faint Object Spectrograph (FOS) was one of the 4 original axial instruments aboard the Hubble Space Telescope (HST). 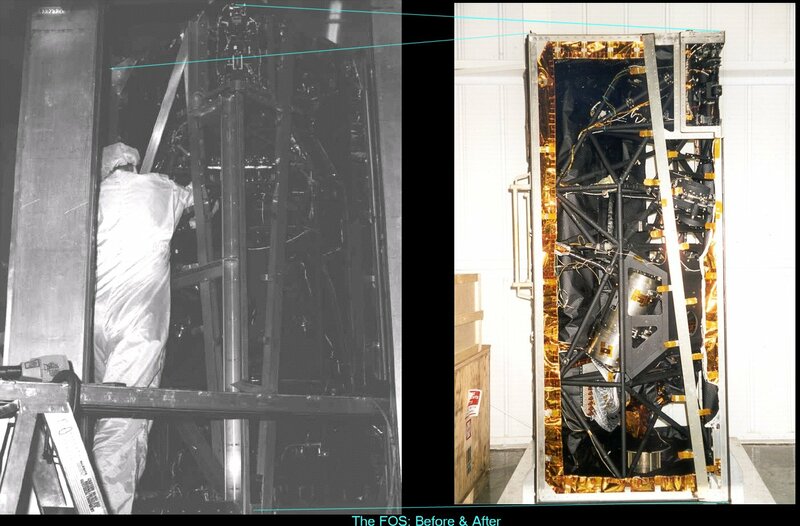 The FOS was designed to make spectroscopic observations of astrophysical sources from the near ultraviolet to the near infrared (1150 - 8000 Angstroms). The instrument was removed from HST during the Second Servicing Mission in February 1997. Consequently, FOS observations can no longer be requested, and only Archival Research programs to make use of FOS data may be submitted. The Post-Operational Archives (POA) branch of the Space Telescope - European Coordinating Facility (ST-ECF) took over the main responsibility for FOS. Their web pages contain all of the information that was previously on the old STScI FOS pages, supplemented with more recent FOS news, including an improved version of the FOS calibration pipeline (POA_CALFOS), which replaces CALFOS in the standard IRAF/STSDAS FOS calibration pipeline. With the close of the ST-ECF STScI once again hosts FOS documentation using a copy of the ST-ECF website. All FOS data have been recalibrated by ST-ECF and were ingested into the STScI HST Archive in the summer of 2004. The data are also available from the Canadian Astronomy Data Centre (CADC).